Read these wonderful notes from LifeNets Scholarship recipient from Colombia. Great program. We thank all contribute to the LifeNets Developing Nations Scholarship Fund! Greetings to all who support the LifeNets program. 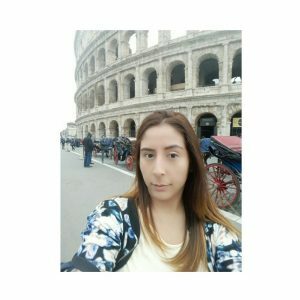 My name is Andrea Camila Becerra Caballero, I am studying the fourth semester in Technology of Integrated Management System of quality, environment, safety and health at work, in the National Learning Service 'SENA'. The studies are going great. Currently I am working as an apprentice in a construction company called INGARME S.A.S and I'm hoping to be able to enter the state university Francisco de Paula Santander for the job of safety and health coordinator. I am very happy and love my career. I have learned and shared a lot with several people who I have been able to guide and help protect their health and safety. One of the activities is to ensure that workers make periodic breaks in their jobs to generate more creativity and productivity during working hours, exercising the body and mind in order to revitalize body energy, since in a work site workers are exposed to many accidents from mild to fatal. Thank you for your help. May God bless you for your good works in LifeNets. Greetings to all the people who make LifeNets possible. 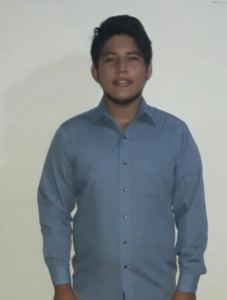 My name is Cristian Ricardo Gáfaro Ortega, I am studying the second semester of electrical engineering. This career absorbs a lot of time, but it is worth it. I love what I do and I’m studying more and more. I thank LifeNets for helping me meet my professional study goals. 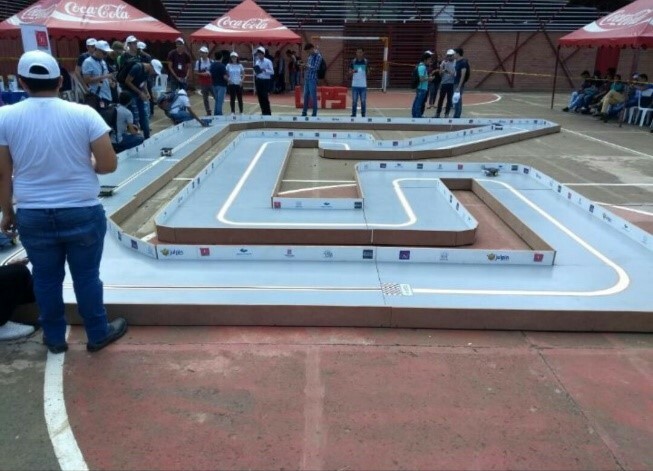 A week ago at my university there was a competition to demonstrate electronic skills. We made cars powered with solar energy, a "solar racer" It was a wonderful competition and I learned a lot from it. 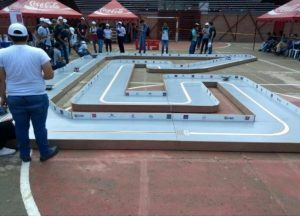 I am sharing a photo showing the tracks where the competition took place. 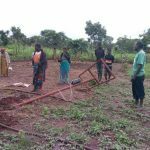 Again, I thank LifeNets so much for your financial help and ask God to continue to bless this great work that you do doing. Thanks again. Greetings, My name is Paula Andrea Buitrago. I am 24 years old. 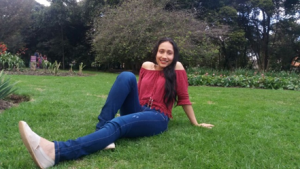 I study environmental engineering at the Central University of Colombia and am studying the fourth semester right now. 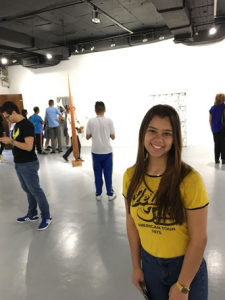 Initially I was very passionate about the field of health, but over time and researching the curriculum of different universities, I realized that I was very interested in the topic of the preservation of the environment and the way everything interacts with it. I have a great fascination for insects, which led me to study this career. In the future, I hope to finish it and be able to help in my country with so many problems nowadays as time goes by. I want to thank all of you in LifeNets for helping me to continue my studies. Your financial help has benefited me greatly due to the economic difficulties to pay for my studies. God bless you and allow you to continue helping so many young people who, like me, want to continue their studies which sometimes, is difficult. 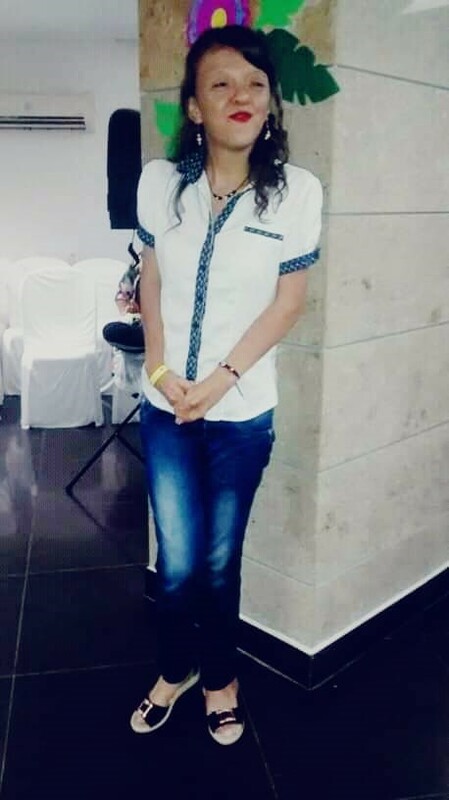 Greetings to each one of the people who make the help of LifeNets possible, my name is Adriana Judith Sierra Carvajalino, and currently, I am studying the fourth semester of Bachelor's Degree in Child Pedagogy. Thank God I have done very well. 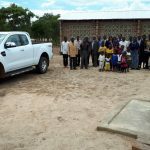 Thank you LifeNets for your financial help, and may God bless all of you. 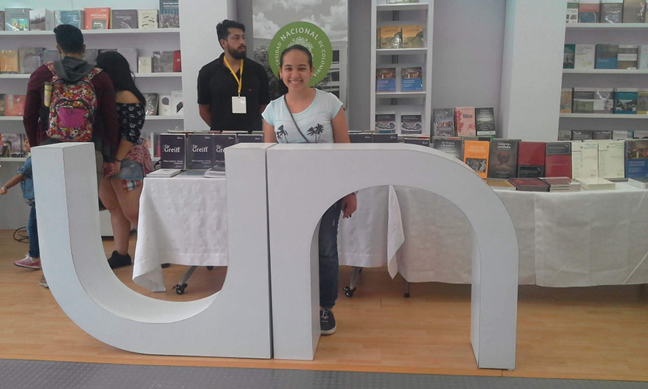 A warm greeting to the sponsors of LifeNets and to the family of the United Church of God. 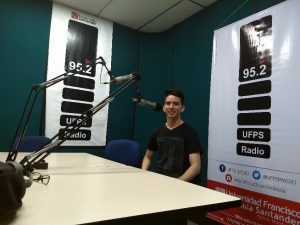 It is a great joy to share with you my university experience, which has allowed me to develop as a professional and as a person at the same time. Currently, I am in the sixth semester of Economics and I feel very happy to study something that I am really passionate about. In fact, in this semester, I enrolled the subject of Monetary and Fiscal Policy, and I felt a lot of affinity with the topics that were discussed, I was able to understand about the global economic crises and the social impact that they have generated. I want to express my deep gratitude, to God, to the church and to the LifeNets network for the help I have received during my career, since it has lightened the economic load of living in another city. I hope to contribute, both in experience and in other aspects, so that future generations can access this wonderful opportunity. Good afternoon, my name is Geraldine Paola Rolón Gómez. Currently, I am studying ninth semester at the Saint Angel School, and am about to finish the school year. I am also doing a technical career as a receptionist, in the same institution, during the afternoons. I also want to express my gratitude to the people who contribute to the LifeNets program. My name is Laura Andrea Sierra Pacheco. 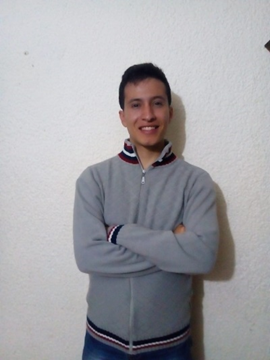 I am advancing my studies in Forestry Engineering in the city of Medellín, Colombia. I want to thank deeply to all the sponsors of the LifeNets program for their financial help, since I have been able to cover many of my university expenses. 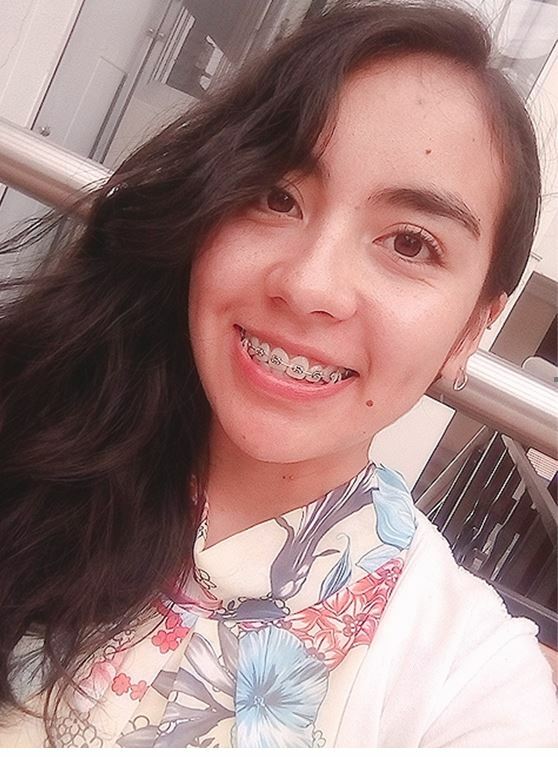 I love having the opportunity to study what I like, to live new experiences, to learn more every day, to have the possibility of studying at the best public university in Colombia and above all, with the help of God, I hope to achieve my dream to graduate in a professional career. Thank you, LifeNets! 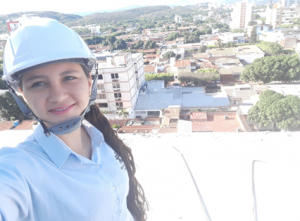 Dear LifeNets sponsors, My name is Lindi Yureni Herrera Alarcón, I am a student of the National University of Colombia, and through this I would like to thank you from the heart for the economic aid. Thanks to God and to you I have been able to pay for my studies and continue with my career. At the present time, I am studying my sixth semester of Philology and English Language and, with the money received, I have been able to take care of my tuition and to carry out my studies in more favorable conditions. I am, and I will be, eternally grateful to LifeNets because you are participants in fulfilling my dream of becoming a professional. God bless you for such generous help and for allowing young people like me to carry out their studies. Greetings to all the people who make LifeNets possible, my name is Ronaldo Medina Bayona and I am currently studying the fourth semester of Social Communication. I'm doing great and every day I fall more in love with my career. I have learned a lot, and it could be said that I begin to perceive reality in a different way. Regarding the subjects that I see this semester, I have loved doing Radio, it is an audio world, but at the same time, a world in full color. Here I share a photo from the university booth, the UFPS Radio 95.2 FM. Thank you LifeNets for your help and may God multiply your good works. Greetings, My name is Zulibeth Agudelo Builes. I'm from the city of Medellín and am very grateful to you for the immense collaboration you are giving me. I do not have words to thank you LifeNets, since without knowing me, you have contributed to the program that allowed me to finish my studies of Psychology (although, I still need the professional license to practice my career). At this moment I am very eager to be able to carry out complementary studies in order to get a good job because, as you know, it is very difficult here in Colombia. I reiterate my thanks to all the people at LifeNets who make this possible. God bless you always. A big hug for all.